Want it by Friday 26th April? Order within 19 hours, 7 minutes and choose Royal Mail Tracked 24 Hour at checkout. 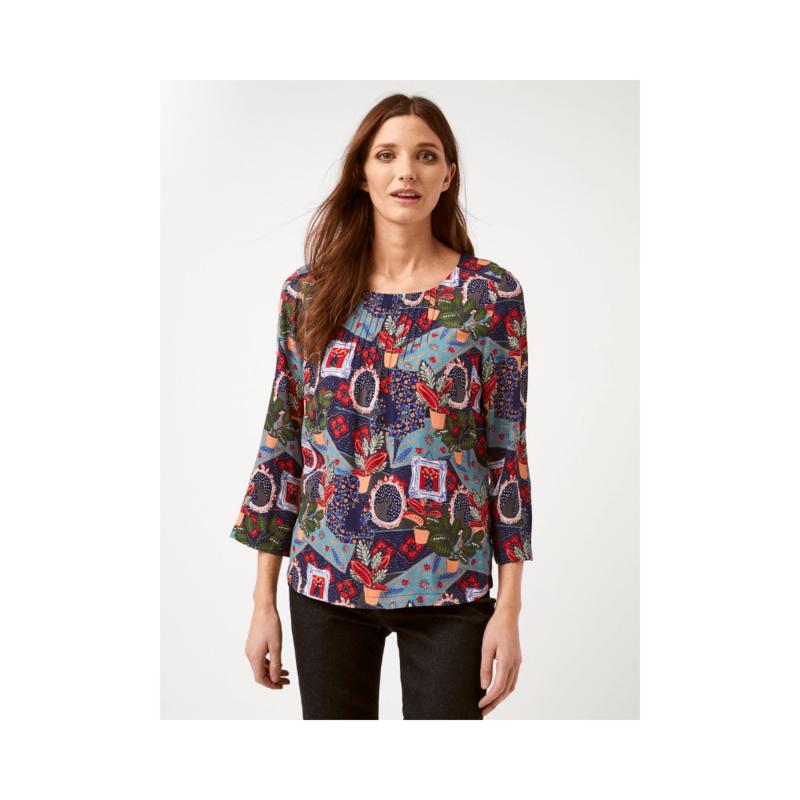 This gorgeous quirky print top is sure to be a new favourite this season! This bright and colourful print features plant pots and adorable cats in photo frames. With a relaxed fit and crew neckline there is plenty of features to fall in love with this spring.